Caregiver: My mom is getting a little frail as she ages. I’ve heard exercise can improve older people’s walking and avoid falls, which would enable her to continue living in her own home. Are some types of exercise classes for older people better than others at accomplishing this? Clinician: Managing asthma can be hard for patients who have complex challenges such as multiple chronic conditions and functional declines, which are common among older adults. Which evidence-based approaches to self-management can best help older adults, especially African-American and Hispanic individuals, keep their asthma under control? Patient: Some people say I ought to get my recently diagnosed ductal carcinoma in situ, or DCIS, treated right away. Others say I should just wait and closely monitor it, especially given my age. What’s the right thing to do? The first phase of this study asked older adult patients and family caregivers which outcomes of transitions in care between different settings matter most to them, a question that previous research has not thoroughly explored. The study identified three outcomes: feeling prepared to implement their care plans, accountability from care settings, and feeling their healthcare providers care about them. 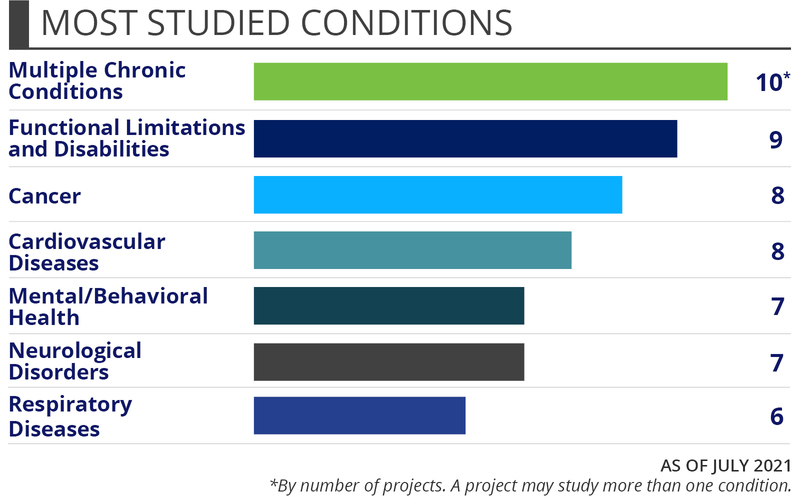 These early findings are part of a larger, ongoing study. Patients who have a stroke often receive medications to prevent a recurrence. This study found that among 90,000 patients who had atrial fibrillation and experienced a stroke, just 30 percent had been taking medications to prevent blood clots, and only about half of those had been taking appropriate doses. 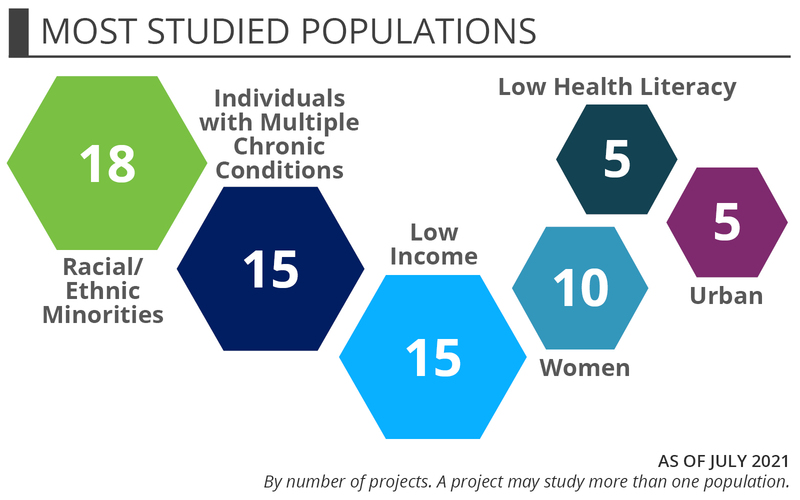 This project, supported by a PCORI Engagement Award, created a network of senior patients and family caregivers focused on clinical areas important to older Americans. The project team teaches these stakeholders about patient-centered outcomes research (PCOR) and how to engage with researchers so that senior patients and their caregivers can participate in PCOR projects. Every year, roughly one in three adults over age 65 falls. These falls can lead to serious injury, disability, and even death. This project, a joint initiative with the NIH National Institute on Aging, is comparing two approaches that aim to reduce falls among older adults who live at home alone. In one arm of the study, patients receive general information about preventing falls, and in the other arm, patients work with a nurse who is a fall-care manager to develop and follow a plan to prevent falls, taking into consideration the individual patient’s risk factors. Hip fractures send more than 300,000 older adults to hospitals each year, and the vast majority of patients must undergo surgery that requires anesthesia. Previous research suggests that spinal anesthesia may help patients get better faster and with less pain than general anesthesia. This study is comparing short- and long-term patient outcomes of general versus localized anesthesia for hip fracture surgery.